A player actor is a player with a rigid physical body, which is approximated with a capsule and has physical properties. Unlike all other players that can move in any direction, the player actor can only walk on the ground. If you need a player actor to go up and down a staircase smoothly, without getting stuck on each stair, you should carefully adjust the radius of the capsule that approximates the player. Or you can approximate the staircase with a plane: in this case, the capsule can be of any radius. The height of the player's capsule should also be set correctly to avoid getting stuck in a doorway. 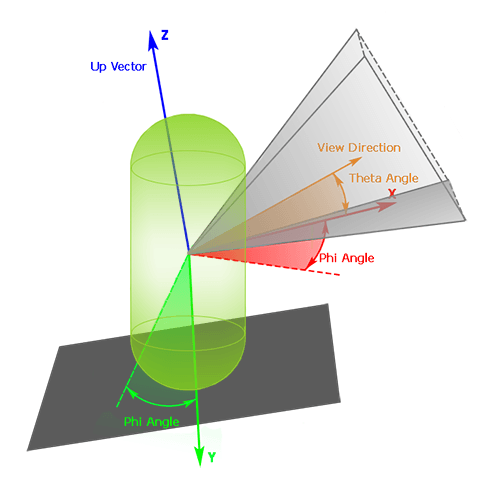 A player actor can be used to create a first person view. Also a player actor can be used in pair with player persecutor to create a 3rd person view (see the corresponding samples in the SDK). All contacts with the shape are found. The player actor is pushed out of objects it collided with along the contact normal (the global penetration factor is also taken into account here). Effectively, it's a sum of all normal vectors of found contacts. The velocity change is calculated: the initial velocity vector is projected onto each contact normal (the dot product is calculated) and the result is subtracted from the initial velocity. 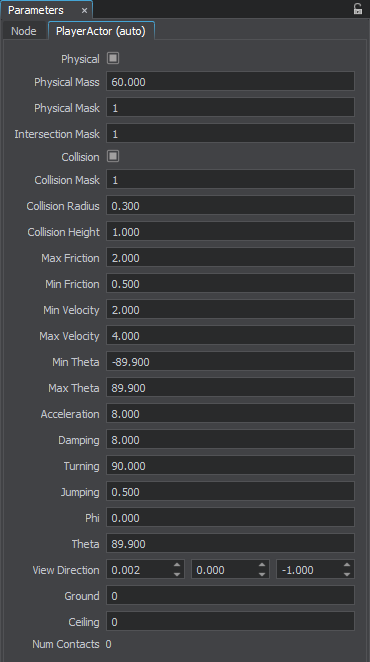 In the Player tab, you can adjust the bit-masks and viewing frustum parameters of the player actor.